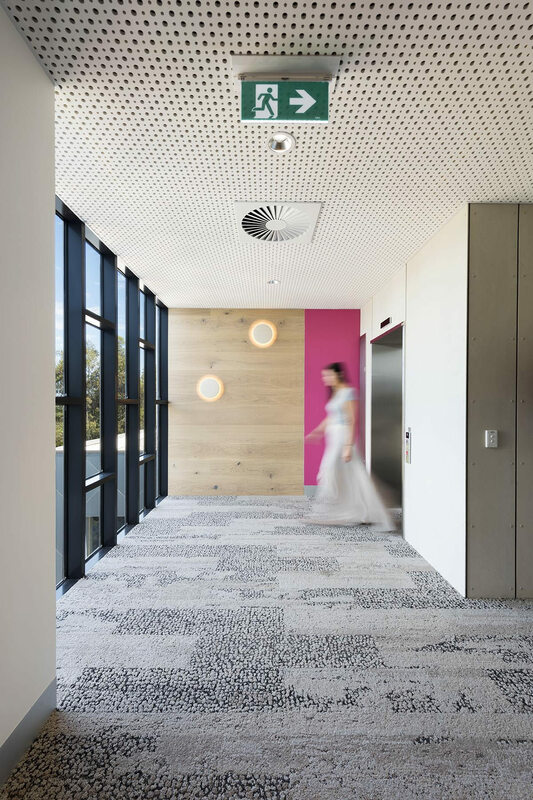 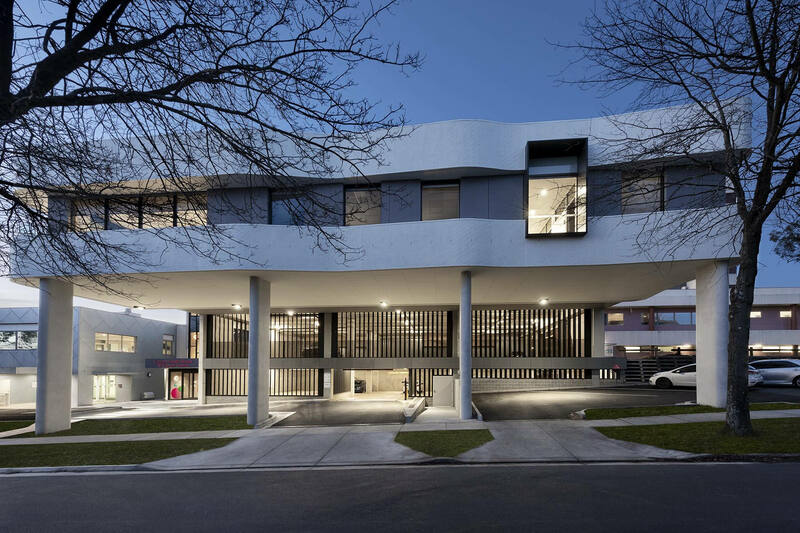 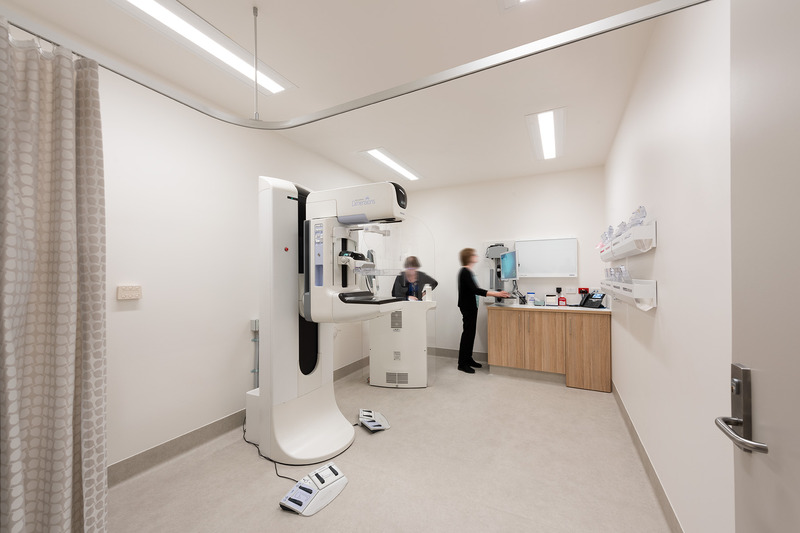 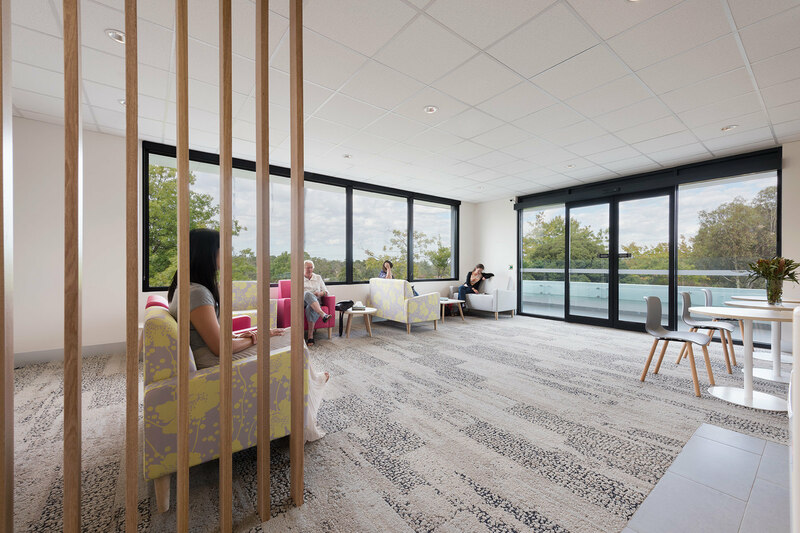 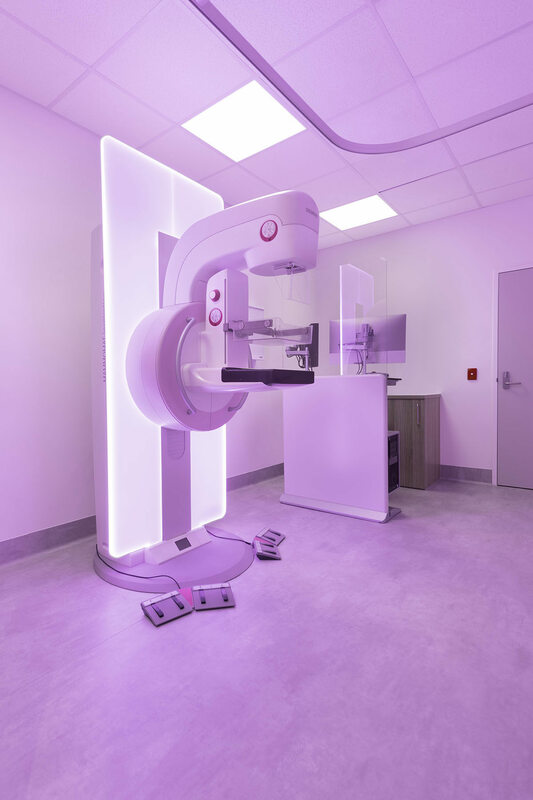 BLP were engaged to design and deliver a standalone Breast and Cancer Centre integrated with the existing Maroondah Hospital. 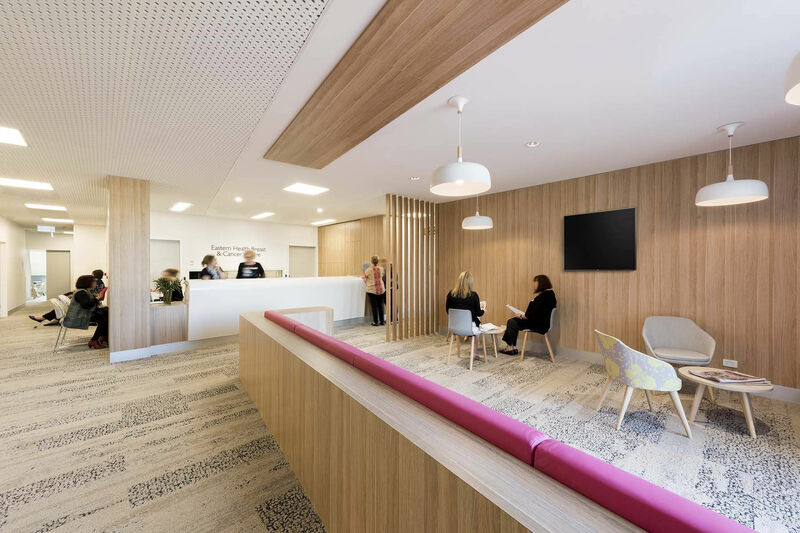 With an independent entry and stairs, lift and carpark which are discreetly linked with Maroondah Hospital’s existing facilities, patients and their loved ones experience a welcoming and seamless journey into and through the facility. 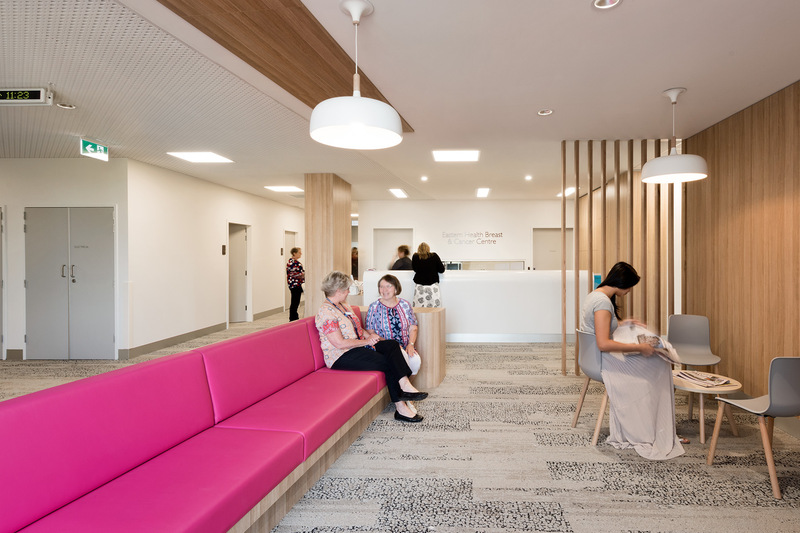 Key to the design was enhancing patient wellbeing, by streamlining those attending for diagnosis and treatment from those present for check-ups only, based on feedback from rigorous user group consultation. 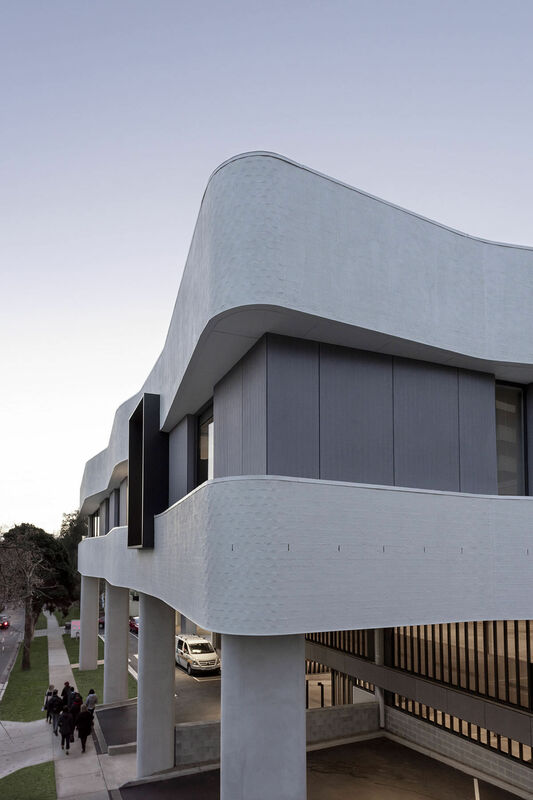 The soft undulations of the exterior form, combined with a careful selection of external and internal finishes creates a non-institutional environment that is approachable, professional, feminine, respectful and calm. 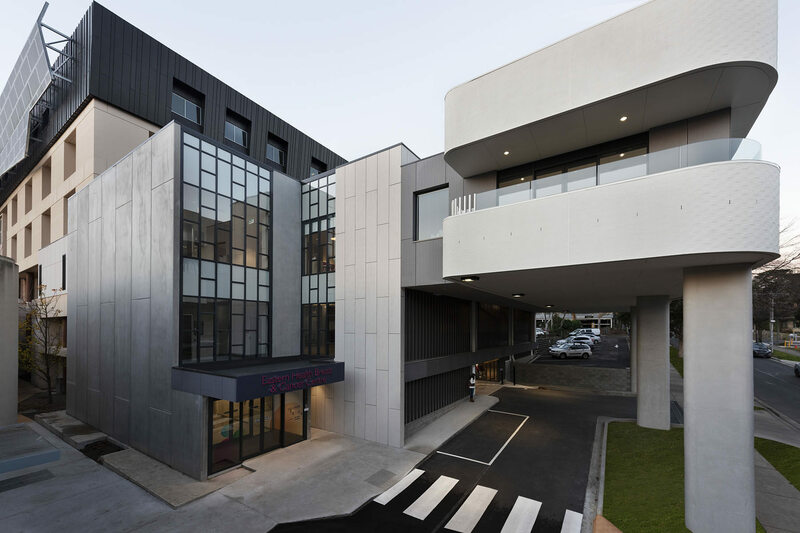 BLP’s Maroondah Hospital Precinct Masterplan ensured that on completion, the Centre and each subsequent stage would feel finished, yet facilitate the next stages of development with as little disruption as possible.